In just 9 short days, we will have been in Belgium 3 full years! Wow, time flies! When we came, we came with little and with no children. But within a year, our first little one, Caleb, was born. Now we have our second boy due in early August. And, so, with the very gracious and generous provision of God, after living in our modern, 2-bedroom apartment for these first 3 years, we are now moving into a lovely 4-bedroom home (in the picture above). Even more wonderful is that it comes with a double-garage and a large back garden (back yard). And the cherry on the top, or one of them, is that everything is completely new and updated (and clean!). Of course, with the expansion of our family, having a larger place will be a huge blessing. But, beyond that, my wife and I see this as an opportunity to walk out our calling with the church and our lives in Belgium – in opening our home for gatherings, meals, fun, visitors and all types of hospitality. And the double-garage will be converted into a photo studio for my wife, another opportunity to be salt and light into the community. 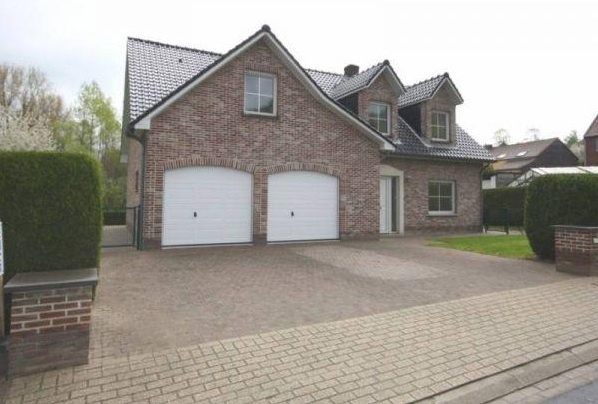 We had wanted to stay within our current local town of Hoeilaart, and we did look at a few homes in the area. But the best house that we believe we found for our family was in 2 towns over in Huldenberg. We have spent so much time building relationships in Hoeilaart, and we definitely desire to maintain those. But we are now viewing this move into a new town as an opportunity to expand our relationships, ultimately seeing local Belgian come to know the good news in Jesus. And I believe that our connections in Hoeilaart will be easy to maintain, as we are only 15 minutes away and the church building is situated in Overijse, the town between Hoeilaart and Huldbenberg (plus, our favourite cafe is in Hoeilaart). So, we have begun the ‘initial’ move today, getting our bed, food and a few pieces of furniture in the house, all that we might spend our first night in our new home tonight. However, tomorrow is the BIG move – with moving truck, friends, several times up and down flights of stairs, pizza for lunch, and then crashing with exhaustion for the evening. But it is all part of the fun of moving! This entry was tagged Belgium, life. Bookmark the permalink.